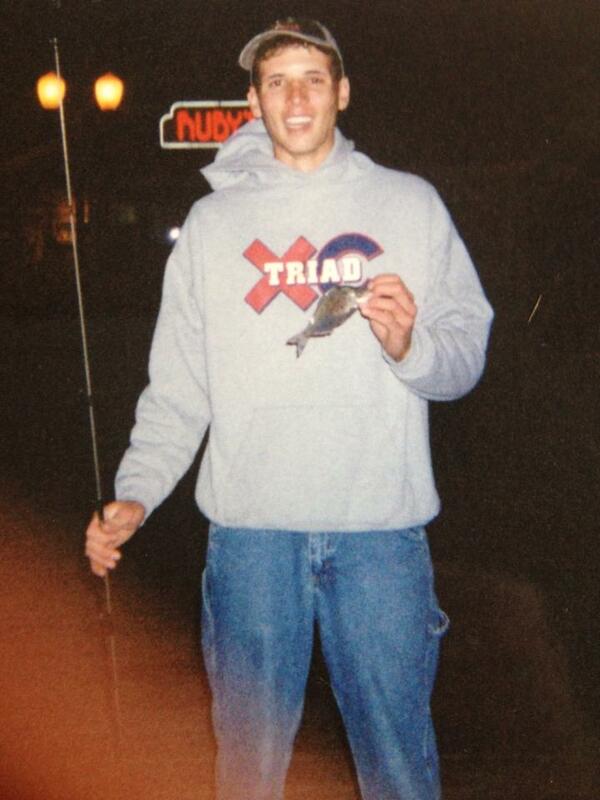 It wasn’t glamorous, but it was the first pier fish I caught completely on my own. I even caught one of my first world records from a pier. “Although my last night (of my Senior Trip) happened to be Friday the Thirteenth, I had to try one last time. At eleven I headed out, eager to add one more species to my life list. I fished a long time … I gave up bait fishing and tried lures. Every night, a swarm of smaller fish had gathered under the lights of the oil rig transport docking area. I had tried throwing everything in my tackle box, but nothing worked. Finally, I caught my first surfperch on a Nordic Kokanee jig half the size of the fish. This fish bit a lure almost as long as it was. Please excuse the low-quality disposable camera photo. As soon as I cast again, I got snagged. Maybe Friday the Thirteenth…? Nah. 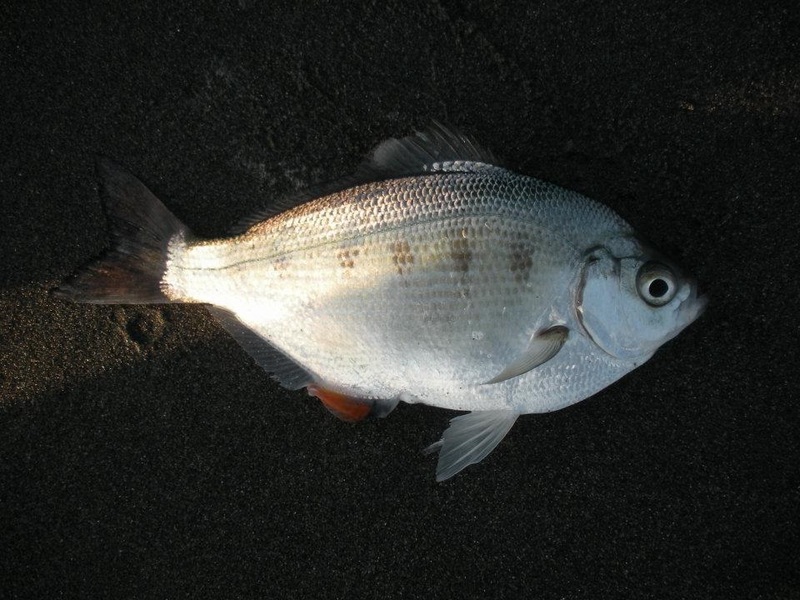 My first surfperch was quite small, but I was stoked to have landed it. Just look at that grin. That trip actually hooked me on surfperch fishing, and to this day, it’s one of my favorite types of fishing — albeit now I use gear just slightly more tailored to the species instead of over-sized Kokanee jigs. Read the next entry in #SpeciesQuest here: Species #22 — Northern Pikeminnow.